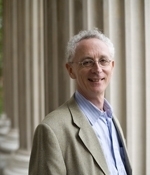 EMANUEL DERMAN is a professor in Columbia University's Industrial Engineering and Operations Research Department, as well as a partner at Prisma Capital Partners. He is a former managing director and head of the Quantitative Strategies group at Goldman, Sachs & Co. His is the author of My Life As A Quant. Money is human happiness in the abstract, wrote Schopenhauer grimly in the early 19th Century. He then, who is no longer capable of enjoying human happiness in the concrete devotes himself utterly to money. But what is happiness? In The Ethics, written in 1677, Spinoza ambitiously tried to do for the emotions what Euclid did for geometry. Euclid began with “primitives”, his raw material, the elements that everyone understands. In geometry, these were points and lines. He then added axioms, self-evident logical principles that no one would argue with, stating for example that “If equals are added to equals, then the wholes are equal”. Finally, he proceeded to theorems, interesting deductions he could prove from the primitives and the axioms. One of them is Pythagoras’ theorem that relates triangles to squares: the sum of the squares of the sides of right-angled triangle are equal to the square of the hypotenuse. Spinoza approached human emotions the way Euclid approached triangles and squares, aiming to understand their inter-relations by means of principles, logic and deduction. Spinoza’s primitives were pain, pleasure and desire. Everyone who inhabits a human body recognizes these feelings. Just as financial stock options are derivatives that depend on the underlying stock price, so more complex emotions depend on these three primitives pain, pleasure and desire. Figure 1 is a simple diagram I constructed to illustrate Spinoza’s scheme. For Spinoza, good is everything that brings pleasure, and Evil is everything that brings pain. And happiness is good. Schopenhauer’s definition of money as abstract happiness or pleasure or good is correct, but it isn’t the entire story. In a barter system, where you trade bread for cheese, you are trading completed work, your bread for their cheese. Work is painful and you do it if you desire to survive, the most fundamental of all desires. By the sweat of your brow will you eat bread, said God to Adam and Eve after the Fall. In Spinoza’s scheme I regard work as pain in the service of desire. Gold coins are crystallized work, the labor of mining. Banknotes backed by gold are crystallized labor and past pain. Money, then, is past pain in the service of desire to survive as well as abstract future pleasure. It combines in one banknote all three of Spinoza’s primitives, as illustrated in Figure 2. Doctors testing comatose patients for signs of life give up when there is no response to pain. Fiat money incorporates only two of the three primitives, pleasure and desire. Genuine money should always involve the recollected pain involved in creating it.